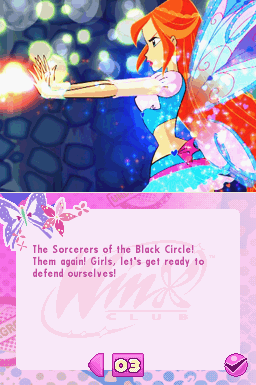 In "Winx Club: Believix in You", based on the fourth season of the TV series, the most famous fairies on TV are back in an exciting new story giving fans the chance to wield the incredible Believix powers in the ultimate fight over evil. 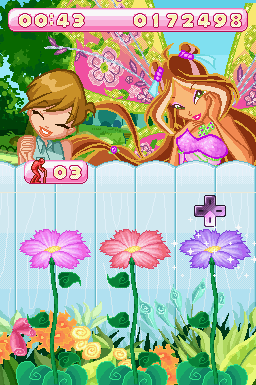 Players can choose their favourite fairy to play through 16 different missions and 18 mini games to save the world from evil forces. 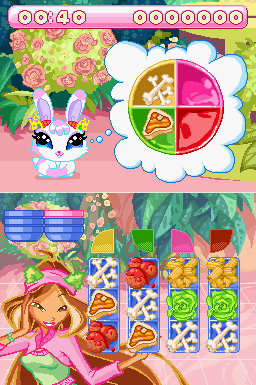 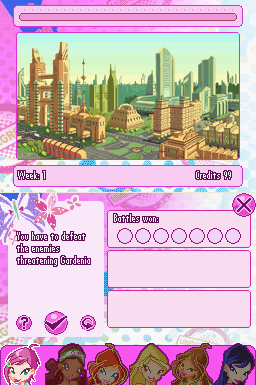 The fun mini games include shopping, working in the Love & Pet, helping Gardenia and much more. 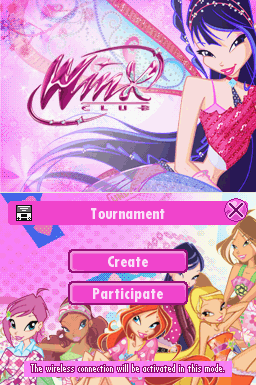 In addition players can enter the wireless multiplayer tournament mode and challenge up to 3 friends for fairy supremacy. 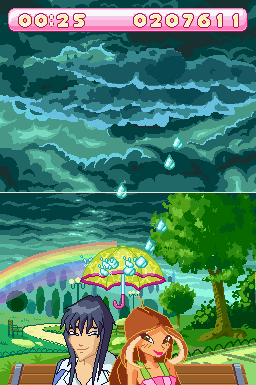 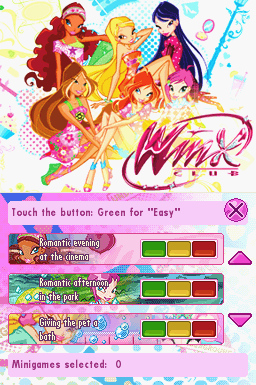 ForwardGames successfully produced its first Nintendo DS title based on a challenging, world-renowned franchise such as "WinxClub", by Rainbow/Iginio Straffi. 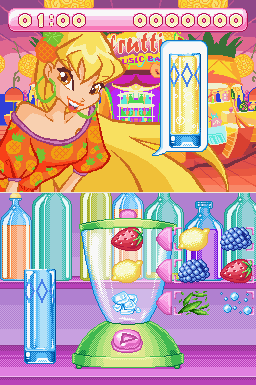 Understanding how the franchise strongly relies on art and graphic style, the team focused on creating hand-drawn pixel-art and animations in order to deliver a faithful representation of the characters and the overall style, fully valorising the brand. 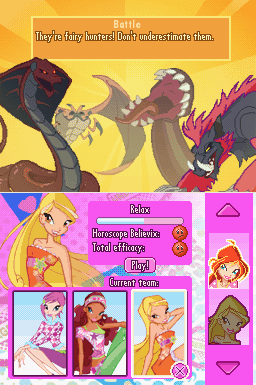 The game also features a good number of mini-games, 4-players multicard play for added replay value and a gesture-based combat game for which custom tools were also developed in-house. 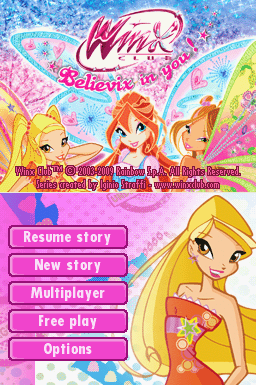 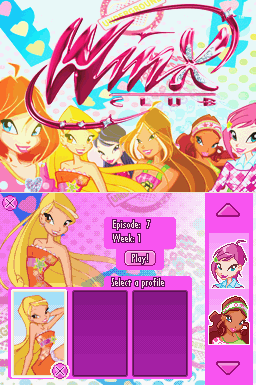 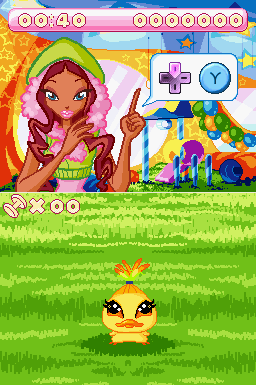 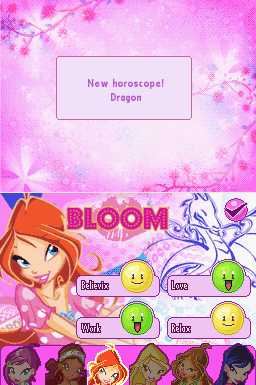 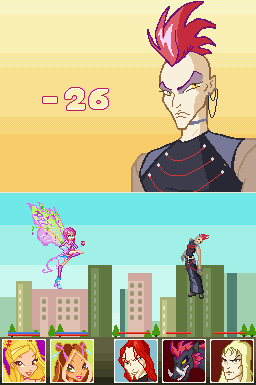 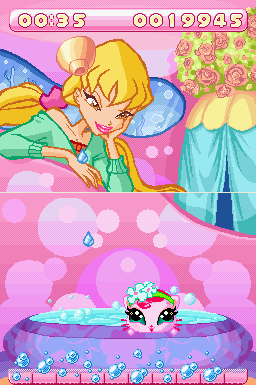 "Winx Club: Believix in You" is the first console product developed using a ported version of ForwardGames' FlexE, a powerful Lua-driven game engine able to dramatically cut development time and cost, especially on hand-held console systems like the Nintendo DS.